For introductory and intermediate courses on Visual Basic programming offered in departments of Computer Science, CIS, MIS, IT, Business, Engineering, and Continuing Education. Teach Visual Basic .NET programming from the ground up! The introduction of Microsoft's .NET Framework marks the beginning of major revisions to all of Microsoft's programming languages. This book provides a comprehensive introduction to the latest version of Visual Basic—Visual Basic .NET—which features extensive updates and increased functionality. Visual Basic .NET How to Program covers introductory programming techniques as well as more advanced topics, featuring enhanced treatment of developing Web-based applications. 1. Introduction to Computers, Internet, World Wide Web and Visual Basic .NET. What Is a Computer? Computer Organization. Evolution of Operating Systems. Personal Computing. Distributed Computing and Client/Server Computing. Machine Languages, Assembly Languages and High-Level Languages. Visual Basic .NET. C, C++, Java™ and C#. Other High-Level Languages. Structured Programming. Key Software Trend: Object Technology. Hardware Trends. History of the Internet and World Wide Web. World Wide Web Consortium (W3C). Extensible Markup Language (XML). Introduction to Microsoft .NET. .NET Framework and the Common Language Runtime. Tour of the Book. Internet and World Wide Web Resources. Overview of the Visual Studio .NET IDE. Menu Bar and Toolbar. Visual Studio .NET IDE Windows. Using Help. Simple Program: Displaying Text and an Image. Internet and World Wide Web Resources. 3. Introduction to VB Programming. Simple Program: Printing a Line of Text. Another Simple Program: Adding Integers. Memory Concepts Arithmetic. Decision Making Equality and Relational Operators. Using a Dialog to Display a Message. Internet and World Wide Web Resources. Algorithms. Pseudocode. Control Structures. If/Then Selection Structure. If/Then/Else Section Structures. While Repetition Structure. Do While/Loop Repetition Structure. Do/Loop Repetition Structure. Assignment Operators. Formulating Algorithms: Case Study 1 (Counter-Controlled Repetition). Formulating Algorithms with Top-Town, Stepwise Refinement: Case Study 2 (Sentinel-Controlled Repetition). Formulating Algorithms with Town-Down, Stepwise Refinement: Case Study 3 (Nested Control Structures). Formulating Algorithms with Town-Down, Stepwise Refinement: Case Study 4 (Nested Repetition Structures). Introduction to Widows Application Programming. Essentials of Counter-Controlled Repetition. For/Next Repetition Structure. Examples Using the For/Next Structure. Selecting Case Multiple- Selection Structure. Do/Loop While Repetition Structure. Do/Loop Until Repetition Structure. Logical Operators. Structured Programming Summary. Modules, Classes and Procedures. Sub Procedures. Function Procedures. Methods. Argument Promotion. Option Strict and Data-Type Conversions. Value Types and Reference Types. Passing Arguments: Pass-by-Value vs. Pass-by-Reference. Duration of Identifiers. Scope Rules. Random-Number Generation. Example: Game of Chance. Recursion. Example Using Recursion: Fibonacci Series. Recursion vs. Iteration. Procedure Overloading and Optional Arguments. Modules. Arrays. Declaring and Allocating Arrays. Examples Using Arrays. Passing Arrays to Procedures. Passing Arrays: ByVal vs. ByRef. Sorting Arrays. Searching Arrays: Linear Search and Binary Search. Multidimensional Rectangular and Jagged Arrays. Variable-Length Parameter Lists. For Each/Next Repetition Structure. Implementing a Time Abstract Data Type with Class. Class Scope. Controlling Access to Members. Initializing Class Objects: Constructors. Using Overloaded Constructors. Properties. Composition: Objects as Instance Variables of Other Classes. Using the Me Reference. Garbage Collection. Shared Class Members. Const and ReadOnly Members. Data Abstraction and Information Hiding. Software Reusability Namespaces and Assemblies. Class View and Object Browser. Base Classes and Derived Classes. Protected and Friend Members. Relationship between Base Classes and Derived Classes. Case Study: Three-Level Inheritance Hierarchy. Constructors and Finalizers in Derived Classes. Software Engineering with Inheritance. Derived-Class-Object to Base-Class-Object Conversion. Type Fields and Select Case Statements. Polymorphism Examples. Abstract Classes and Methods. Case Study: Inheriting Interface and Implementation. Mon Inheritable Classes and NotOverridable Methods. Case Study: Payroll System Using Polymorphism. Case Study: Creating and Using Interfaces. Delegates. Exception Handling Overview. Example: DivideByZeroException. Net Exception Hierarchy. Final Block. Exception Properties. Programmer-Defined Exception Classes. Handling Overflows. 12. Graphical User Interface Concepts: Part 1. Windows Forms. Event-Handling Model. Control Properties and Layout. Labels, Textboxes, and Buttons. PictureBoxes. Mouse-Event Handling. Keyboard-Event Handling. 13. Graphical User Interface Concepts: Part 2. Menus. LinkLabels. ListBoxes, and CheckedListBoxes. ComboBoxes. TreeViews. ListViews. Tab Control. Multiple-Document-Interface (MDI) Windows. Visual Inheritance. User-Defined Controls. Thread States: Life Cycle of a thread. Thread Priorities and Thread Scheduling. Thread Synchronization and Class Monitor. Producer/Consumer Relationship without Thread Synchronization. Producer/Consumer Relationship with Thread Synchronization. Producer Consumer Relationship: Circular Buffer. fundamentals of Characters and Strings. Strings Constructors. String Length and Chars Properties, and CopyTo Method. Comparing Strings. String Method GetHashCode. Locating Characters and Substrings in Strings. extracting Substrings from Strings. Concatenating Strings. Miscellaneous String Methods. Class StringBuilder. StringBuilder Indexer, Length and Capacity Properties, and EnsureCapacity Methods. StringBuilder Insert, Remove and Replace Methods. Graphics Contexts and Graphics Objects. Color Control. Front Control. Drawing Lines, Rectangles and Ovals. Drawing Arcs. Drawing Polygons and Polylines. Advanced Graphics Capabilities. Introduction to Multimedia. Loading, Displaying and Scaling Images. Animating a Series of Images. Windows Media Player. Microsoft Agent. data Hierarchy. Files and Streams. Classes Files and Directory. Creating a Sequential-Access File. Reading Data from a Sequential-Access File. Random-Access File. Writing Data Randomly to a Random-Access File. Case Study: A Transaction-Processing Program. XML Documents. XML Namespaces. Document Object Model (DOM). Document type Definitions (DTDs) Schemes and Validation. Extensible Stylesheet Language and XlsTransform. Microsoft BizTalk™. Internet and World Wide Web Resources. 19. Database, SQL and ADO .NET. Relational Database Model. Relational Database Overview: Books Database. ADO .NET Object Model. Programming with ADO .NET: Extracting Information from a DBMS. 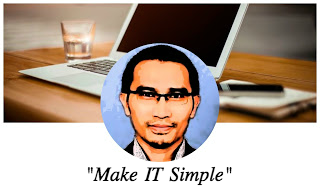 Programming with ADO .NET: Modifying a DBMS. Reading and Writing XML Files. Simple HTTP Transaction. System Architecture. Creating and Running a Simple Web-Form Example. Web Controls. Session Tracking. Case Study: Online Guest book. Case Study: Connecting to a Database in ASP .NET. Tracing Internet and World Wide Web Resources. Simple HTP Transaction. System Architecture. Creating and Running a Simple Web-Form Example. Session Tracking. Case Study: Online Guest book. Case Study: Connecting to a Database in ASP .NET. Tracing Internet and World Wide Web Resources. 21. ASP .NET and Web Services. Web Services. Simple Object Access Protocol (SOAP) and Web Services. Publishing and Consuming Web Services. Session Tracking in Web Services. Using Web Forms and Web Services. Case Study: Temperature Information Application. User-Defined Types in Web Services. Internet and World Wide Web Resources. Establishing a Simple Server (Using Stream Sockets). Establishing a Simple Client (Using Stream Sockets). Client/Serve Interaction via Stream-Socket Connections. Connectionless Client/Server Interaction via Datagrams. Client/Serve Tic-Tac-Toe Using a Multithreaded Server. 23. Data Structures and Collections. Self-Referential Classes. Linked Lists. Stacks. Queues. Collection Classes. Linked Lists. Stacks. Queues. Trees. Collection Classes. B. Number Systems on (CD). abbreviating Binary Numbers as Octal Numbers and Hexadecimal Numbers. Converting Octal Numbers and Hexadecimal Numbers to Binary Numbers. Converting from Binary, Octal or Hexadecimal to Decimal. Converting from Decimal to Binary, Octal or Hexadecimal. Negative Binary umbers: Two's Complement Notation. C. Career Opportunities (on CD). Resources for the Job Seeker. Online Opportunities for Employers. Recruiting Services. Internet and World Wide Web Resources. D. Visual Studio .NET Debugger. Breakpoints. Examining Data. Program Control. Additional Procedure Debugging Capabilities. Additional Class Debugging Capabilities. Appendix E. ASCII Character Set. Unicode Transformation Formats. Characters and Glyphs. Advantages/Disadvantages of Unicode. Unicode Consortium's Web Site. Using Unicode. Character Ranges. Appendix G. COM Integration (on CD). ActiveX Integration. DLL Integration. Internet and World Wide Web Resources. CHAPTER = Appendix H. Introduction to HyperText Markup Language 4: Part 1 (on CD). Markup Languages. Editing HTML. Common Elements. Headers. Linking. Images. Special Characters and More Line Breaks. Unordered Lists. Nested and Ordered Lists. Internet and World Wide Web Resources. I. Introduction to HyperText Markup Language 4: Part 2 (on CD). Basic HTML Tables. Intermediate HTML Tables and Formatting. Basic HTML Tables. Basic HTML Forms. More Complex HTML Forms. Internal Linking. Creating and Using Image Maps. meta Tags. frameset Element. Nested framesets. Internet and World Wide Web Resources. J. Introduction to XHTML: Part I (on CD). editing XHTML. First XHTML Example W3C XHTML Validation Service. Headers. Linking. Images. Special Characters and More Line Breaks. Unordered Lists. Nested and Ordered Lists. Internet and World Wide Web Resources. N. Crystal Reports® for Visual Studio .NET. Crystal Reports Web Site Resources. Crystal Reports and Visual Studio .NET. NEW - Thoroughly re-written to reflect the new features and functionality of Visual Basic .NET. Provides readers with up-to-date coverage of topics such as multi-tier Web-based application development using Web forms and Web services, data manipulation using the Extensible Markup Language (XML), object-oriented programming including implementation inheritance, multithreading, exception handling, database manipulation using ADO+, graphics programming with GDI+ and accessibility. Helps readers better interpret the code. Also available with the Multimedia Cyber Classroom —In The Complete Visual Basic .NET Training Course, Second Edition, Student Edition (CD-ROM version: 0-13-042541-9; Web-based version: 0-13-067371-4). Provides extra hands-on experience and study aids for a minimal additional cost. 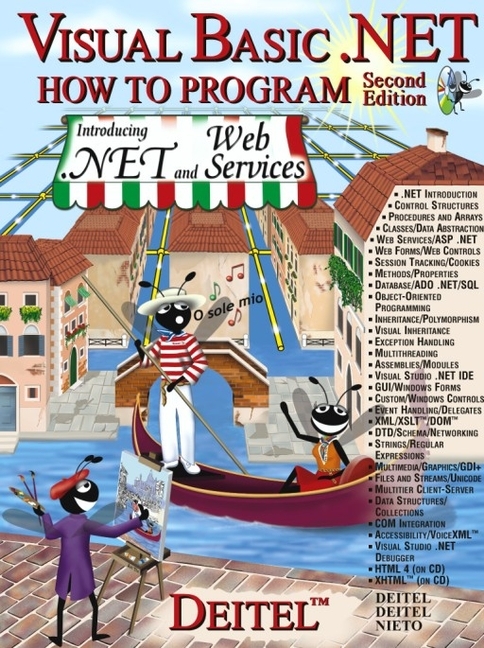 Includes many hours of detailed, expert audio walkthroughs of the book's hundreds of live-code examples; post-assessment exams with hundreds of short answer questions (all with answers); hundreds of self-review exercises drawn from the text (half with answers); hundreds of programming exercises from the main text (these exercises don't have answers in the main text, but half of these exercises have answers in The Complete Training Course); hundreds of tips that are marked with icons and show how to write Visual Basic code that's portable, reusable, and optimized for performance; and full-text searching and hyperlinking. Each How to Program text can be ordered as a Complete Training Coursepackage, containing the main text and the corresponding Cyber Classroom—an interactive, multimedia, tutorial version of the book. The Complete Training Coursesare a great value, giving students additional hands-on experience and study aids for a minimal additional cost. We offer the Complete Training Courses in either CD-ROM or Web-based format. When professors order the Web-based version of a Complete Training Course, their students receive the corresponding How to Programbook packaged with a URL and password that gives then six months of access to the Cyber Classroom software via the Web. 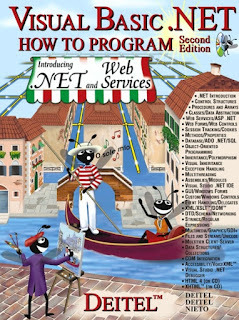 If your customer has already received Visual Basic .NET How to Program, Second Edition, please sample only the Visual Basic .NET Multimedia Cyber Classroom CD-ROM to show them the advantages they would get with The Complete Training Course.Please do not sample The Complete Training Courseas they will receive a duplicate copy of the main text. Thoroughly re-written to reflect the new features and functionality of Visual Basic .NET.